Gearward’s new Ceramic Escape Knife (CEK) is designed to be a last ditch cutting tool that can be carried discreetly. 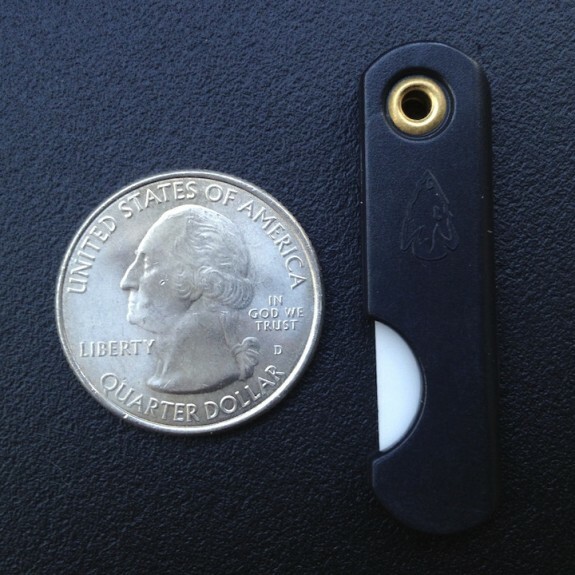 The folding design packs a 1.25″ ceramic blade into a trim 1.75″ x .40″ package that weighs the same as a penny (2.5 grams)! The “handle” is plastic and features a cutout to make deploying the blade easier. The CEK is so small it should be able to fit into any kit you have and be able to be concealed in just about any way you can imagine. Gearward has some great ideas for how to carry the CEK on their site.